One of the community activities that Gracie and her students participated in each year was Christmas caroling. As part of an annual tradition, Peterson and a group of Monmouth College students visited dorms on campus, homes in the neighborhood and patients at the Monmouth hospital singing carols. Among the songs chosen by Gracie and her carolers were Christmas classics such as "Silent Night" and "O Holy Night." Peterson's caroling, though a small gesture, was received with incredible gratitude among community members and students. Each caroling event elicited exclamations of approval in the local papers, as well as notes from adoring fans and friends. 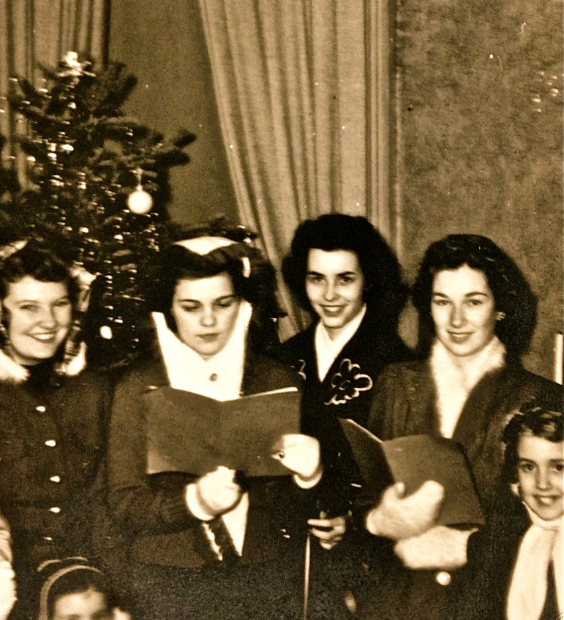 A group of female students gather to join Gracie Peterson for annual Christmas caroling in 1941. 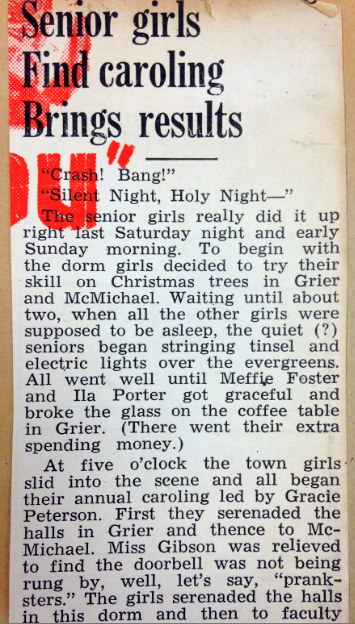 Newspaper article detailing the activities of Gracie Peterson's annual Christmas carolers at Monmouth College. A note from an appreciative community member to Gracie following a night of caroling: Dear Grace, The tribute paid to me by you and your carolers meant something beyond expression and will always be cherished. 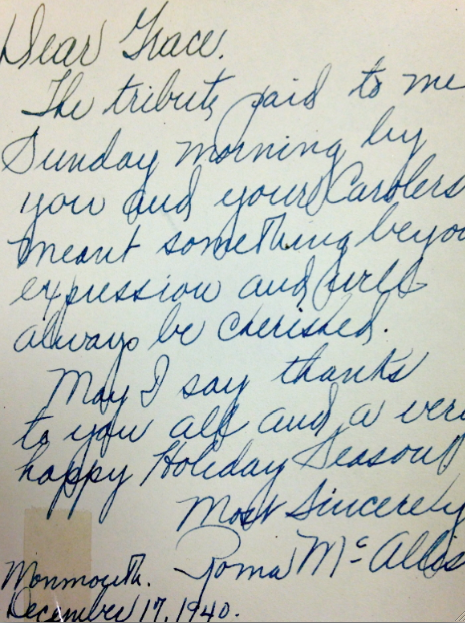 May I say thanks to you all and a very happy holiday season. Gary Willhardt, former friend and colleague of Peterson, shares his memories of Gracie's carolers.